“I have bad reflexes. I was once run over by a car being pushed by two guys.” Woody Allen. I encountered some really strange “knowledge” over the past 24 hours and I have totally changed my theory on education. Sometimes ignorance is bliss. But, unfortunately, you can’t “un-learn” something–no matter how hard you try. I discovered beer-flavoured lip gloss for well-groomed alcoholics. Caffeine inhalers for those times when your stomach is overfilled with coffee, but you still need a caffeine-jolt (personally, I would seek medical attention if I had this problem). And someone with too much time on their hands has created a crime scene beach towel. I guess that’s one way to get a private spot in the sand. The strangest invention that I came across, in my opinion, is a condom/yardstick…okay, maybe not a yardstick…but it is almost that optimistic. According to the manufacturer’s website, they are available in inches and centimetres. Let’s hope the prophylactic pictured is metric. 25 inches would just be scary. 2) The next tid-bit is really disturbing, particularly if you are planning on driving in Nevada any time soon. Cars with drivers are dangerous enough, but a car that drives itself is even worse. 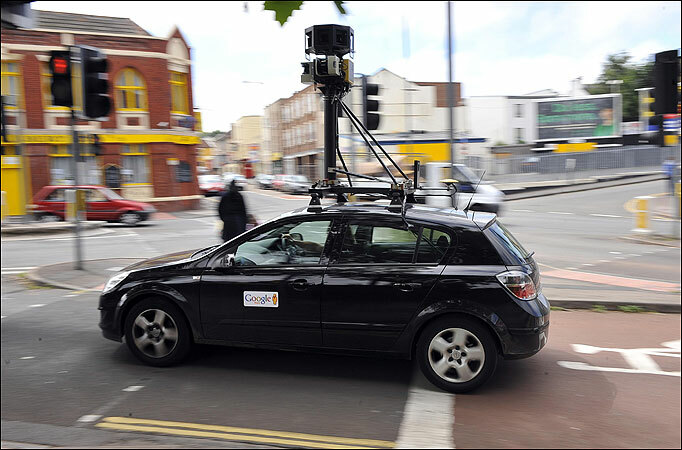 And Google has officially received a “green” light to put its driver-free vehicle on the road. Now, the vehicle hasn’t earned complete independence yet. Two humans must be in the vehicle at all times–just in case something goes wrong. I am curious about one thing. If the car has been “trained” to go down Main Street, but an accident has created a detour, what does the car do? Try to run over the detour? Back up and drive forward repeatedly in confusion? Or simply give up and explode? 3) For some reason, the next fact made me think of Romper Room. “Romper, bomper, stomper boo. Tell me, tell me, tell me, do. Magic Mirror, tell me today, have all my friends had fun at play?” I remember watching day after day, month after month, for her to see me in her magic mirror–but, alas, “Kimberley” was never called. So, anyway, back on topic. 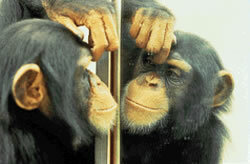 There are only three animals that are able to recognize themselves in the mirror. The first is obviously the human. The second is the ape. What do you think the third one is? Time’s up. The answer I am looking for is the dolphin. According to research conducted at New York’s Rockefeller University, dolphins have the ability to recognize themselves and companions in mirrors. I’m sure this skill comes in really handy at the bottom of the ocean. I often wonder who funds this type of research and why.